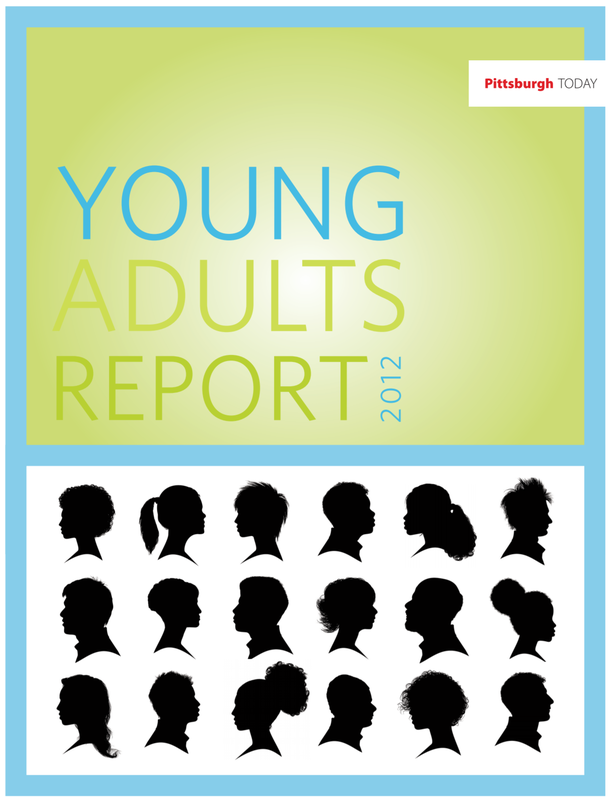 The young adult population in any region is a preview of its future. For much of the past three decades, that has been a topic of concern around Greater Pittsburgh. The notion that the region is losing its young adults like few other places in the country became a mantra, a steady drumbeat - a local truism that's no longer true. Young adults are moving into the region at a steady rate. Impressive numbers are settling in City of Pittsburgh neighborhoods. The region is getting younger. And those demographic changes portend future economic and civic strength for the region. This report is an in-depth look at who these young adults are who'll shape our region in the coming years, from the demographic trends that deflate the myth of their steady exodus to their views on regional issues and experiences living and working in Pittsburgh and surrounding counties. The report draws on PittsburghTODAY's own reporting, extensive data and recent research, including a major regional survey and five focus groups, conducted by our research partners at the University of Pittsburgh's Urban Center for Social & Urban Research. The Pittsburgh Regional Quality of Life Survey asked 120 questions of more than 1,800 residents of the 32-county Pittsburgh region, including more than 400 young adults, aged 18-34. Completed in the spring of 2012, it stands as the most extensive survey to examine the Greater Pittsburgh region in more than a century. We hope you'll read this report, written by PittsburghTODAY Senior Editor Jeffery Fraser, to gain a better understanding of the facts, behaviors and thoughts of our region's young adults. Attracting and retaining talented young people is essential to the future of any region, and Pittsburgh is positioned well to attract more than its share. If you'd like to view the complete survey data and focus group transcripts, we invite you to visit the special reports section of pittsburghtoday.org, where you'll find that information posted. We would like to acknowledge the support of The Benter Foundation, which made this project on young adults possible.